魏铭聪, 许天福, 贝科奇, 金光荣, 刘肖, 曹玉清, 刘娜. 富含微生物体系内温压条件对自生碳酸盐岩和铁硫化物形成的影响[J]. 沉积学报, 2018, 36(4): 664-673. WEI MingCong, XU TianFu, BEI KeQi, JIN GuangRong, LIU Xiao, CAO YuQing, LIU Na. Eeffect of the Temperature and Pressure Conditions on the Formation of Authigene Carbonate Minerals and Iron Sulfide in a Microorganisms System[J]. ACTA SEDIMENTOLOGICA SINCA, 2018, 36(4): 664-673. Abstract: Aboundant authigene carbonate minerals and iron sulfide in sea-bed methane cold seeps are important geologic markers to prospect natural gas hydrate(NGH). However, there are very limited experimental researches on their formation conditions. 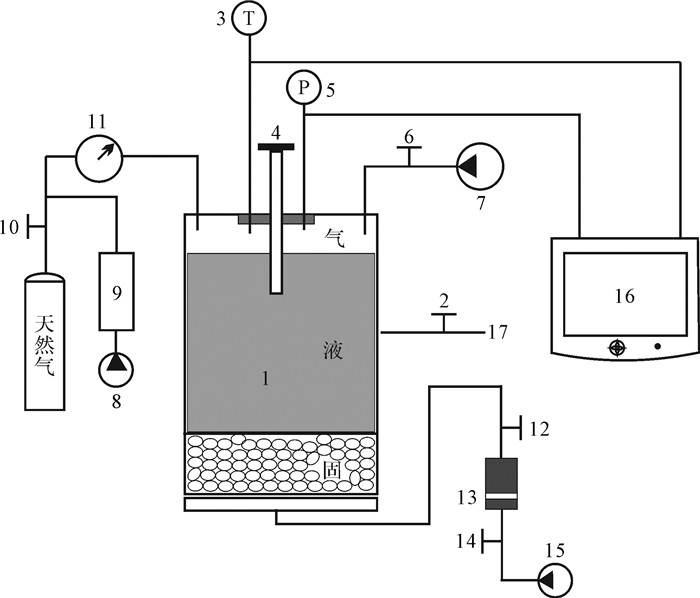 The aquantic chemical changes of water systems with sulfate reducing bacteria and anaerobic methanotrophic archaea under various temperatures and pressures were simulated and investigated as the first time by using a home-made sealed bioreactor system. Minerals morphology, carbonate species and iron sulfide under different temperatures and pressures were checked using scanning electron microscope (SEM) and X-ray diffraction (XRD) to study on their precipitation regulation. For the experiments under 5℃, 8℃ and 10℃, the pH values and concentrations of HCO3- were in ranges of 6.5-7.4 and 202.55-639.93 mg/L, respectively. The oxidation-reduction potential (ORP) stayed near -100.0 mV. For the experiments under 2.5 MPa, 5.0 MPa and 7.5 MPa, the pH values and concentrations of HCO3- were in range of 6.1-7.2 and 324.08-789.95 mg/L, respectively. The oxidation-reduction potential (ORP) was remained from -100 mV to -50.0 mV. These experimental results demonstrated that temperature and pressure might control authigene carbonate minerals formation by influence of microbial metabolism to provide the source for S2- and HCO3-, which were able to form the minerals combined with cations. 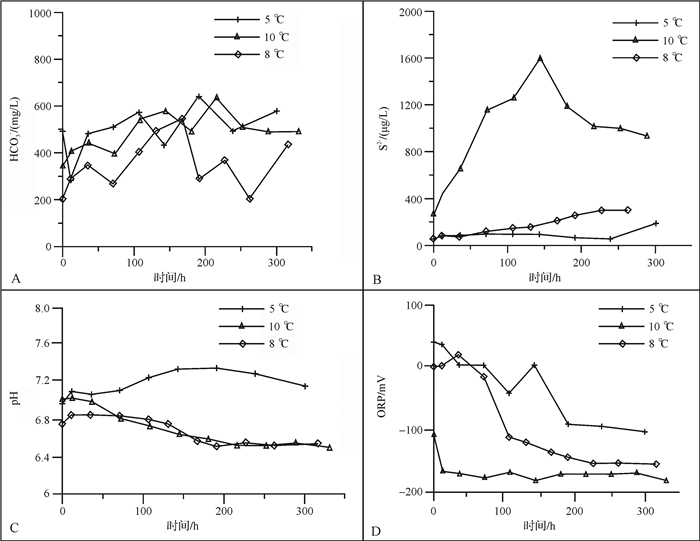 Calcite, siderite and iron sulfide were precipitated in all experiments whereas the HCO3- concentration was diminishing, the S2- concentration was rised and ORP decreased when the temperature was increased. The distribution of siderite and iron sulfide was increasing with temperature and S2- concentration, probably indicating that increasing temperature could facilitate the formation of iron sulfide and siderite. The S2- produced by microbes metabolism and negative values of ORP(below 0) were decreasing along with increasing pressure. Simultaneously, carbonate formation was increased and the distribution range of iron sulfide became wider and also better in morphology. The decrease of calcium carbonate precipitation might be controlled by the concentration of S2-. These results could be significant to provide insights into the storage and cycle of carbon and sulfur, and the formation mechanism of authigene minerals in global ocean. Sassen R, Roberts H H, Carney R, et al. Free hydrocarbon gas, gas hydrate, and authigenic minerals in chemosynthetic communities of the northern Gulf of Mexico continental slope:relation to microbial processes[J]. Chemical Geology, 2004, 205(3/4): 195-217. Peckmann J, Reimer A, Luth U, et al. Methane-derived carbonates and authigenic pyrite from the northwestern Black Sea[J]. Marine Geology, 2001, 177(1/2): 129-150. Sakai H, Gamo T, Ogawa Y, et al. Stable isotopic ratios and origins of the carbonates associated with cold seepage at the eastern Nankai Trough[J]. Earth and Planetary Science Letters, 1992, 109(3/4): 391-404. 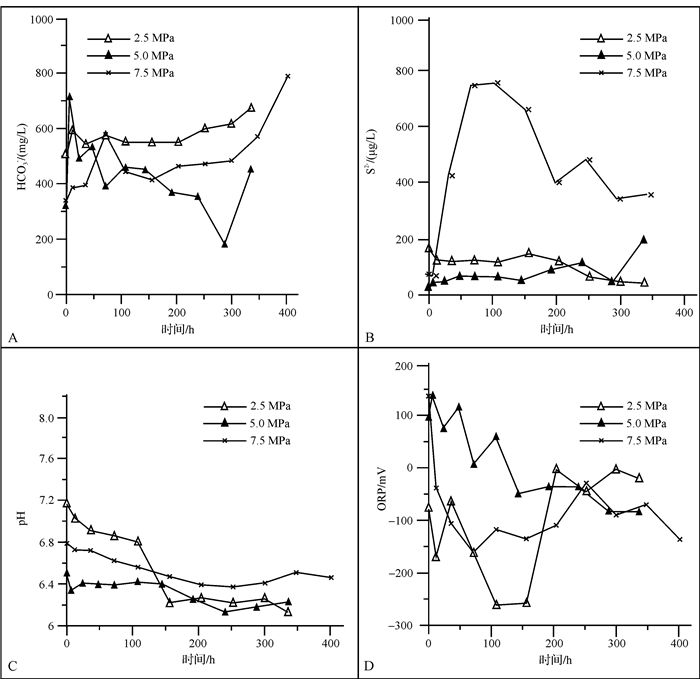 Ferris F G, Fyfe W S, Beveridge T J. Bacteria as nucleation sites for authigenic minerals in a metal-contaminated lake sediment[J]. Chemical Geology, 1987, 63(3/4): 225-232. Postgate J R. The sulphate-reducing bacteria[M]. New York: Cambridge University Press, 1979: 1-145. Soetaert K, Hofmann A F, Middelburg J J, et al. The effect of biogeochemical processes on pH[J]. Marine Chemistry, 2007, 105(1/2): 30-51. Krüger M, Treude T, Wolters H, et al. Microbial methane turnover in different marine habitats[J]. Palaeogeography, Palaeoclimatology, Palaeoecology, 2005, 227(1/2/3): 6-17. Sloan E D Jr. Clathrate hydrates of natural gases[M]. New York: Marcel Dekker, 1990. Davie M K, Zatsepina O Y, Buffett B A. Methane solubility in marine hydrate environments[J]. Marine Geology, 2004, 203(1/2): 177-184. Hunter K S, Wang Y F, van Cappellen P. Kinetic modeling of microbially-driven redox chemistry of subsurface environments:coupling transport, microbial metabolism and geochemistry[J]. Journal of Hydrology, 1998, 209(1/2/3/4): 53-80. Rodriguez N M, Paull C K, Borowski W S. Zonation of authigenic carbonates within gas hydrate-bearing sedimentary sections on the Blake ridge: offshore southeastern north America[C]//Paull C K, Matsumoto R, Wallace P J, et al. Proceedings of the Ocean Drilling Program, Scientific Results, Volume 164. College Station, TX: Ocean Drilling Program, 2000: 301-312. Derkachev A N, Obzhirov A I, Bohrmann G, et al. Authigenic mineral formation in the cold gas seep structures within the Sea of Okhotsk[J]. Conditions of the Generation of Bottom Sediments and Related Mineral Deposits within Marginal Seas. Vladivostok, Dalnauka, 2002, 47: 60. Berner R A. Early diagenesis:a theoretical approach[M]. Princeton, NJ: Princeton University Press, 1980. Millero F J, Plese T, Fernandez M. The dissociation of hydrogen sulfide in seawater[J]. Limnology & Oceanography, 1988, 33(2): 269-274.